This is a sponsored post by Lowes but as always- all thoughts and opinions are our own. Lowe's invited us to document a project called The UpSkill Project and as soon as we heard what it was we were on board. 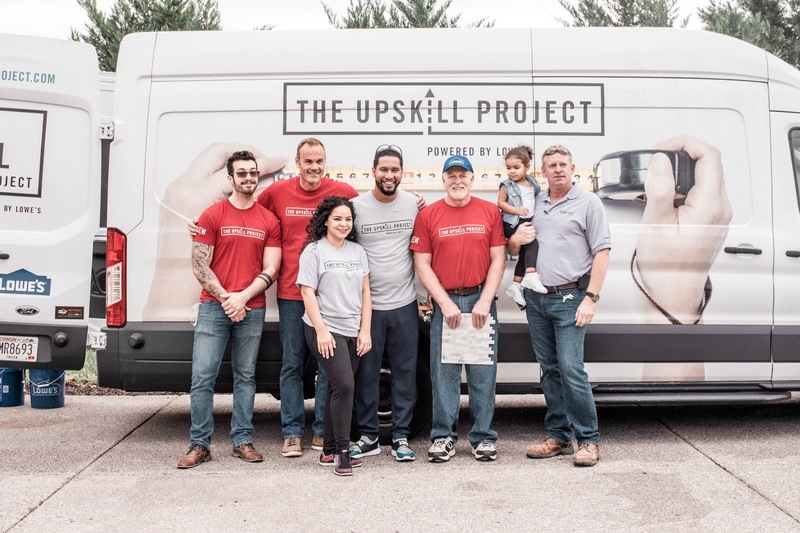 Basically, The UpSkill Project is an initiative to help customers learn right in their homes the DIY skills that will bring their home improvement projects to life. The project has two components: a contest and a community day. To enter the contest you had to submit a video telling Lowe's about the projects you needed help with. The winners received the help of employees from their local Lowe's store for 2 days to finish these projects, $2000 to purchase the materials, and professional design consultation. 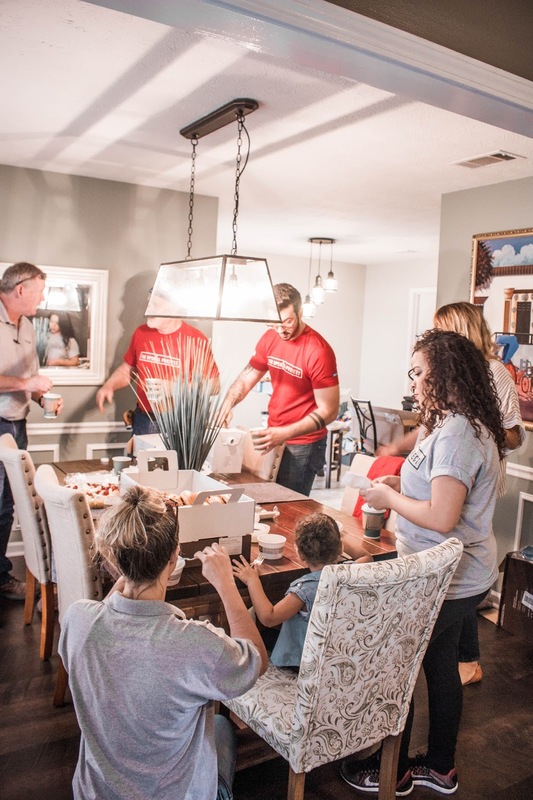 They chose 5 winners in the Nashville area, and Savannah and I got to follow one of the winners through their kitchen renovation. Meet Jose and Myra Frias! 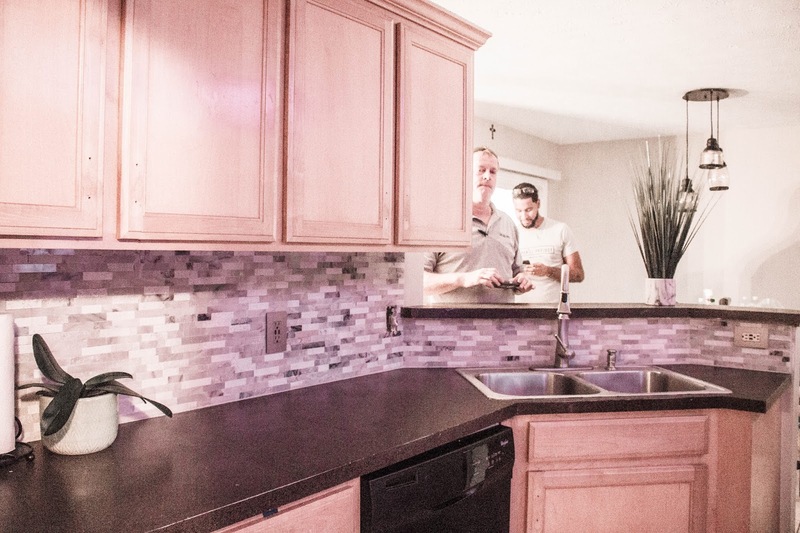 Jose and Myra have been wanting to renovate their kitchen since they purchased their house 2 years ago. 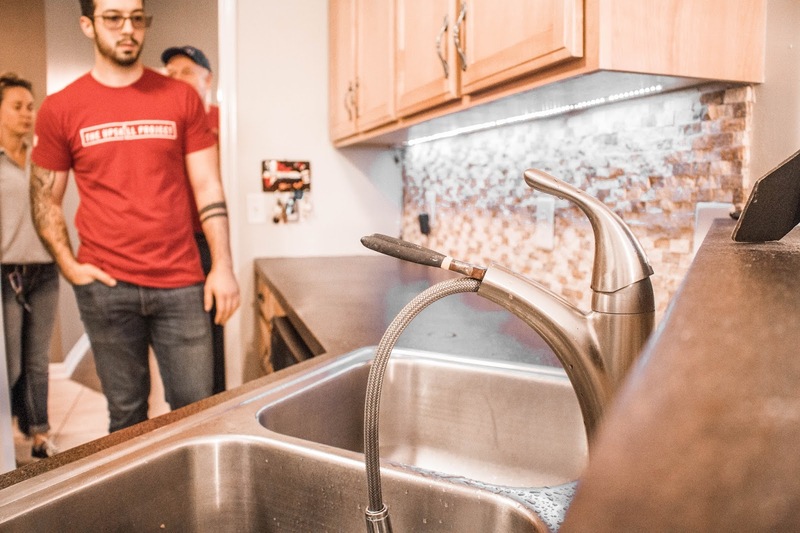 This was the sink faucet situation they were dealing with, so I'd say that The UpSkill Project came just in time! 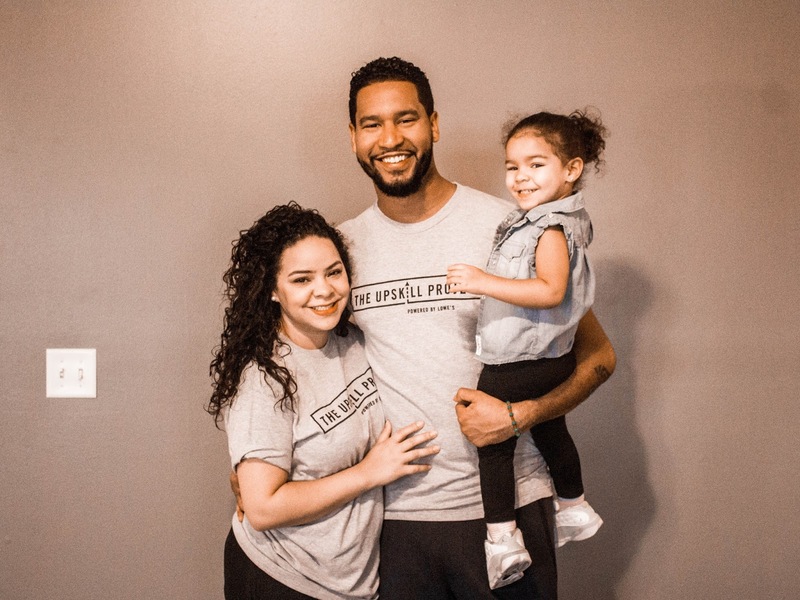 What really impressed me about our time with Lowes and the Frias family was that the employees from Lowe's actually taught the Frias' how to do the things they needed help with. 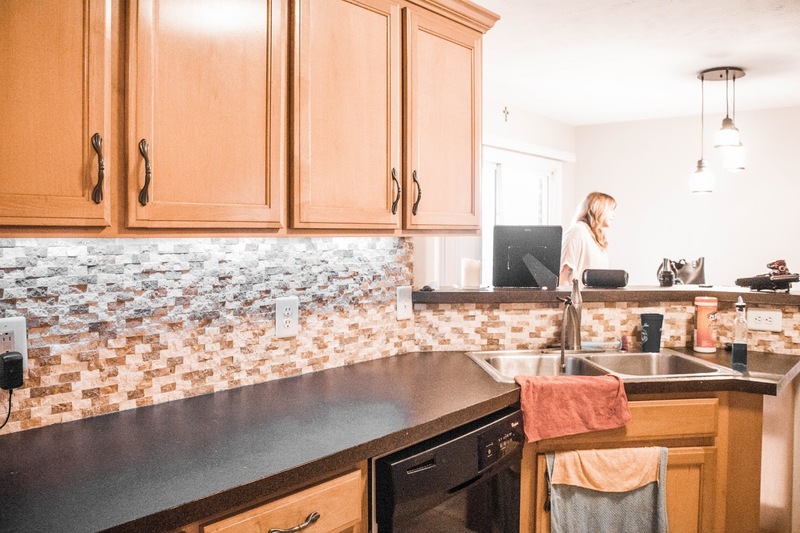 By the end of it, Myra was teaching a friend how to install the backsplash tile. 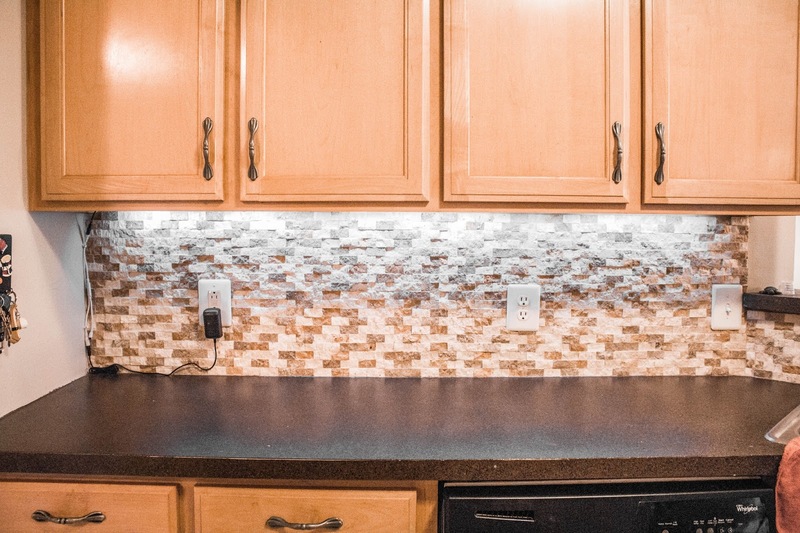 Jose finally got a kitchen faucet that worked, and they both got kitchen lighting that was desperately needed. We weren't really sure what to expect. I kind of expected that the Lowe's team would just take over so they could finish more quickly and get out of there. Instead, they really walked through each step with the family. Also, the employees that came to help out, work at the Lowe's store closest to the Frias'. So in the future as they tackle other projects, they will be able to go to their local Lowe's and know the people who can help them- because they've literally worked on projects together. How cool is that? If you have a project you want to finally finish, I encourage you to stop by. We will be there learning with you! Learning from someone in person is so much easier than watching a tutorial on YouTube. Plus, you have someone there so you can ask lots of questions. 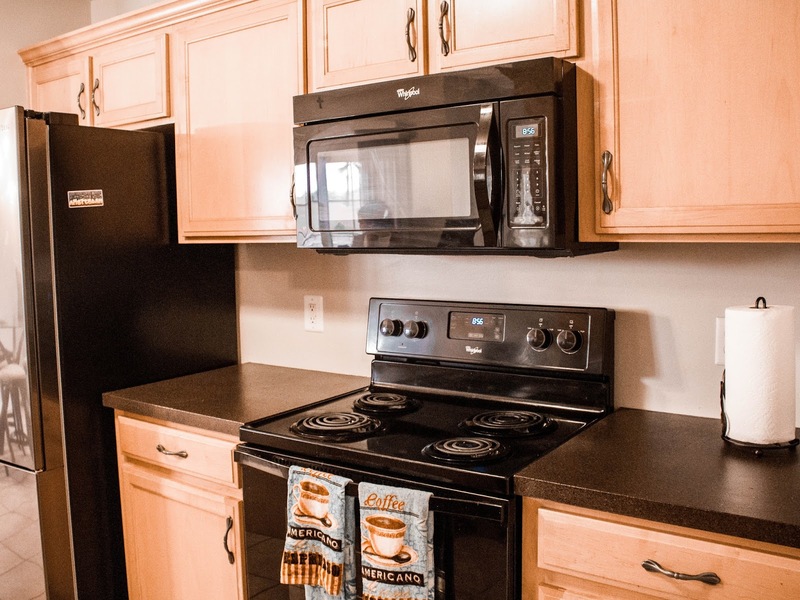 Okay, so let's scroll through some before and after photos! 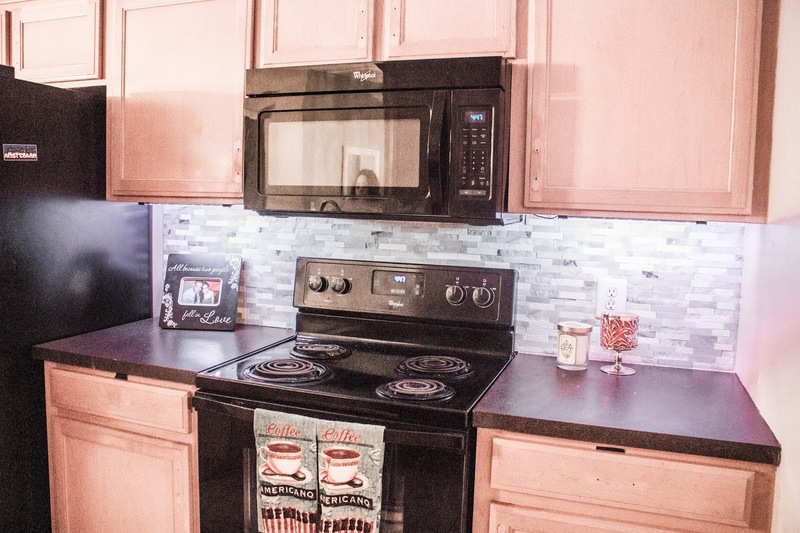 They also installed some under cabinet lighting that changes colors to music. Something that is perfect for this self-proclaimed "party house". 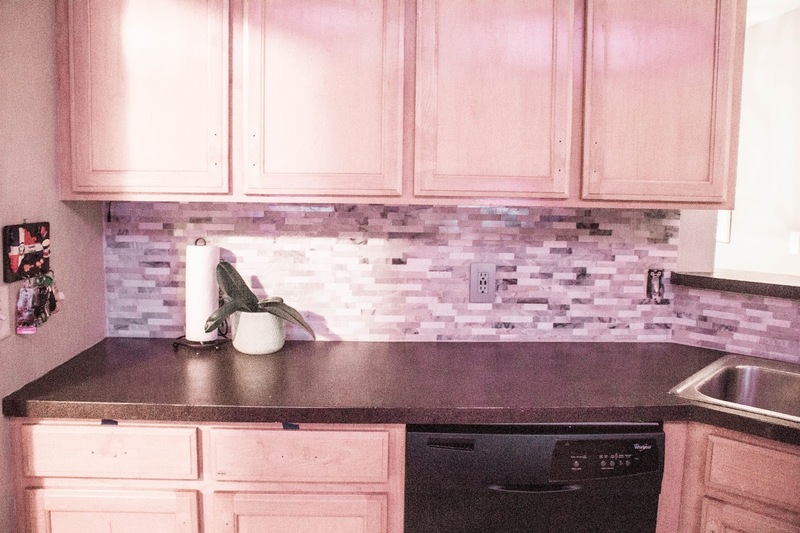 Savannah and I are obviously really into DIY projects, and we share our DIYs with you because we want YOU to feel empowered. We want you to know that if we can do something, then you can too. We have figured out how to do things from other blogs and YouTube channels and asking for help from stores like Lowe's. What is really cool about The UpSkill Project is that it teaches you how to do things that aren't too advanced, but also beyond what the average person could do on their own. We are really impressed with The UpSkill Project as its mission is much like ours. We both want to encourage you to do for yourself. With a little help, you can DIY almost anything! Nashville peeps! 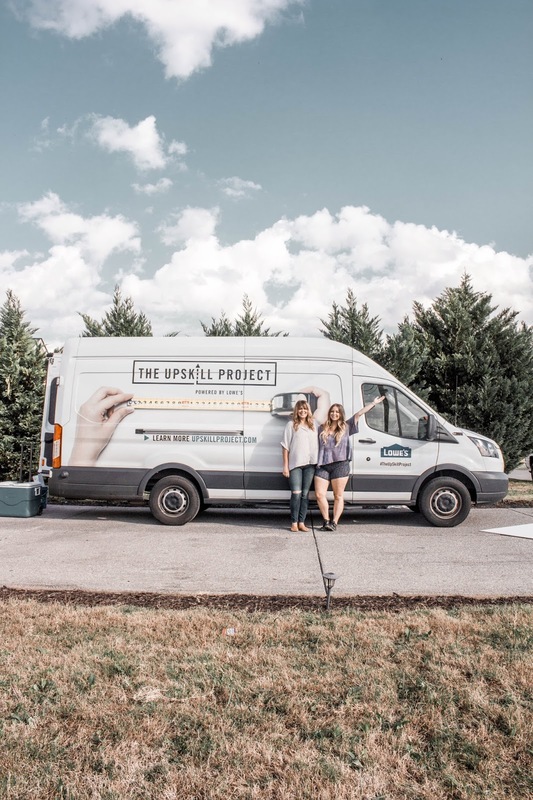 Join us this Saturday at Lowe's for The UpSkill Workshop!